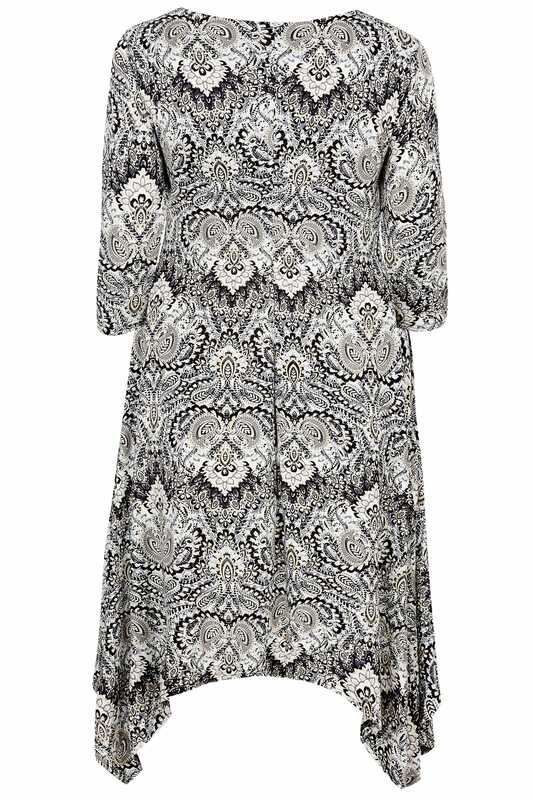 Centre length from (approx): 100cm/39.3"
Side length from (approx): 100cm/49.2"
Create elegant style with this printed dress from Izabel Curve. A chic style for desk-to-dinner, it is cut to a modest midi length and finishes with a flattering hanky hem. Style with ankle boots and a leather look jacket for a touch of edge. 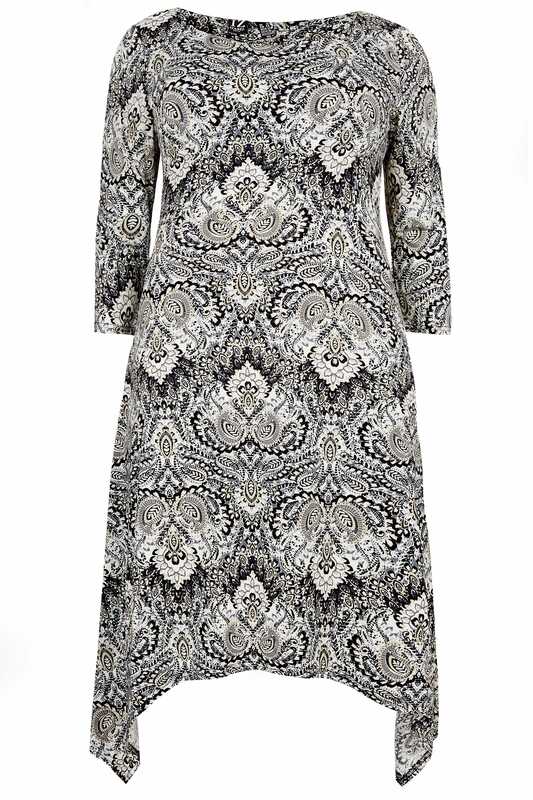 The paisley print adds increased feminine appeal.